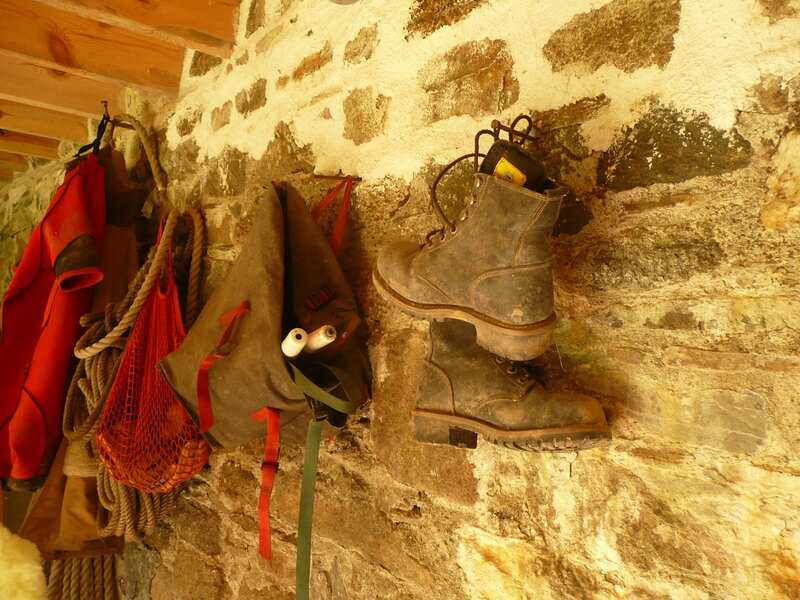 These sharp mornings, when a mist is hovering in the valley below and fingers are quicker to cool, my thoughts turn to boots. In fact, it doesn’t take much for my mind to stray in this direction. The half formed picture of the ideal boot is always hovering somewhere near the edges of consciousness, a germ of an idea, ready to bloom into a full blown obsession at any moment. 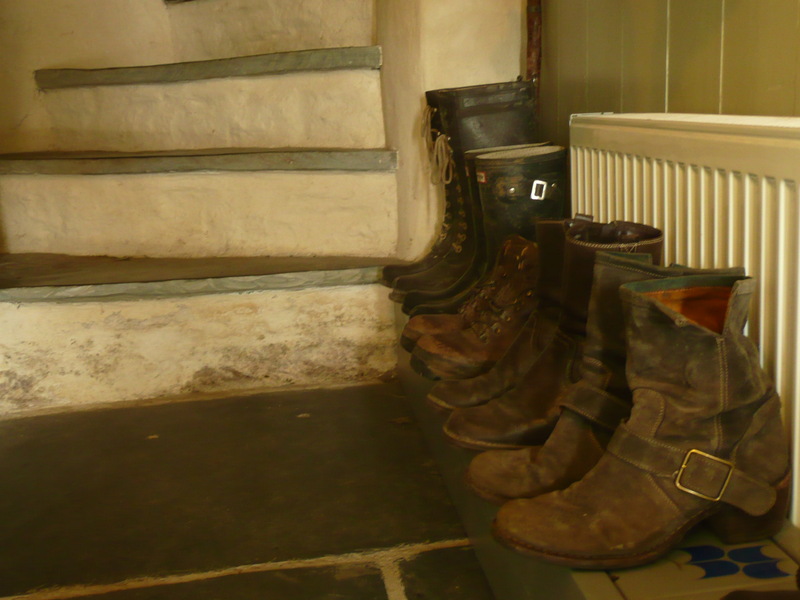 There are lots of boots in the hall…. It was an attractive woman who seemed to embody who I wanted to be that got me on this boot thing. I was in the middle of a life crisis and was changing everything so I was looking for ways to solidify this incredibly fluid self. She was an artist, feminine, with long tousled hair (I might as well have given up then), yet she had on a pair of chunky work boots which poked out from beneath her jeans. I think she very possibly had long legs too. I was retraining to be a gardener at the time so it all seemed to fit. I was so happy when they were on sale – 50% off. I was clearly in one of those blind fashion moments, adrenalin pumping, without giving a thought as to why they were so reduced. I persevered for a few days. It was like having your feet encased in concrete. 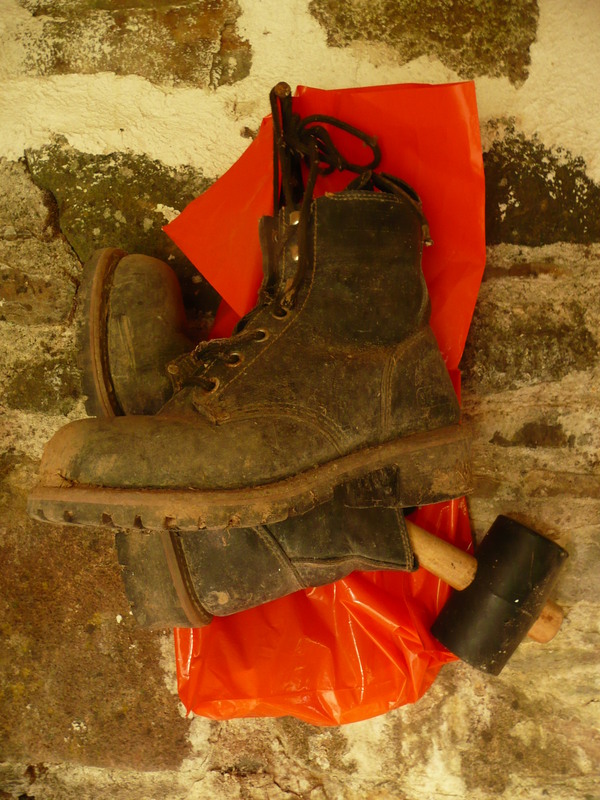 The leather was hard and unforgiving and they weighed a ton. The tops were too high, and the edges chafed the side of my (slightly shorter than the woman I was emulating) leg terribly. I invested in a pair of longer socks to help out, believing that I could crack them, that they would eventually soften. Weren’t all boots like that? Over the years, either when I think I need something extra sturdy, or when I have imagined I can still grasp that elusive (unobtainable) ‘look’ that I so desired, they have occasionally come out of hiding and I try again. It’s all to no avail. 2011. When we moved into our house, it was a good four years since their last unsuccessful outing. This time though, it was going to be different. This time I enlisted B’s help too. If only I could customise them myself, things might work out. B cut the tops down to an acceptable height, just above the ankle, rather than just below the calf. 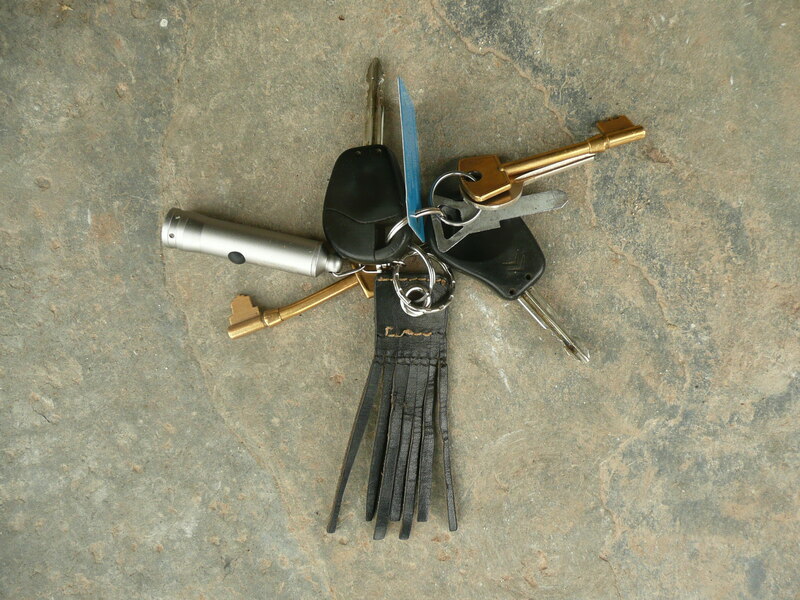 B made a keyring from the discarded leather which I have treasured ever since. Maybe this was the real reason for their existence.